Donald Judd (June 3, 1928 – February 12, 1994) was an American artist associated with minimalism (a term he nonetheless stridently disavowed). In his work, Judd sought autonomy and clarity for the constructed object and the space created by it, ultimately achieving a rigorously democratic presentation without compositional hierarchy. It created an outpouring of seemingly effervescent works that defied the term "minimalism". Nevertheless, he is generally considered the leading international exponent of "minimalism," and its most important theoretician through such seminal writings as "Specific Objects" (1964). Judd voices his unorthodox perception of minimalism in Arts Yearbook 8, where he asserts; "The new three dimensional work doesn't constitute a movement, school, or style. The common aspects are too general and too little common to define a movement. The differences are greater than the similarities" Through his work Judd shines light on the profound effect on new three dimensional by specificity and generality. Judd was born in Excelsior Springs, Missouri. He served in the Army from 1946 to 1947 as an engineer and in 1948 began his studies in philosophy at the College of William and Mary, later transferring to Columbia University School of General Studies. At Columbia, he earned a degree in philosophy and worked towards a master's in art history under Rudolf Wittkower and Meyer Schapiro. At this time he also attended night classes at the Art Students League of New York. He supported himself by writing art criticism for major American art magazines between 1959 and 1965. In 1968 Judd bought a five-story cast-iron building, designed by Nicholas Whyte in 1870, at 101 Spring Street for under $70,000, serving as his New York residence and studio. Over the next 25 years, Judd renovated the building floor by floor, sometimes installing works he purchased or commissioned from other artists. Judd later died of Lymphoma in New York City on February 12, 1994. In the late 1940s, Donald Judd began to practice as a painter. His first solo exhibition, of expressionist paintings, opened in New York in 1957. From the mid-1950s to 1961, as he explored the medium of the woodcut, Judd progressively moved from figurative to increasingly abstract imagery, first carving organic rounded shapes, then moving on to the painstaking craftsmanship of straight lines and angles. His artistic style soon moved away from illusory media and embraced constructions in which materiality was central to the work. He would not have another one person show until the Green Gallery in 1963, an exhibition of works that he finally thought worthy of showing. By 1963 Judd had established an essential vocabulary of forms — ‘stacks’, ‘boxes’ and ‘progressions’ — which preoccupied him for the next thirty years. Most of his output was in freestanding "specific objects" (the name of his seminal essay of 1965 published in Arts Yearbook 8, 1965), that used simple, often repeated forms to explore space and the use of space. Humble materials such as metals, industrial plywood, concrete and color-impregnated Plexiglas became staples of his career. Judd's first floor box structure was made in 1964, and his first floor box using Plexiglas followed one year later. Also by 1964, he began work on wall-mounted sculptures, and first developed the curved progression format of these works in 1964 as a development from his work on an untitled floor piece that set a hollow pipe into a solid wooden block. While Judd executed early works himself (in collaboration with his father, Roy Judd), in 1964 he began delegating fabrication to professional artisans and manufacturers (such as the industrial manufacturers Bernstein Brothers) based on his drawings. In 1965, Judd created his first stack, an arrangement of identical iron units stretching from floor to ceiling. As he abandoned painting for sculpture in the early 1960s, he wrote the manifesto-like essay “Specific Objects” in 1964. In his essay, Judd found a starting point for a new territory for American art, and a simultaneous rejection of residual inherited European artistic values, these values being illusion and represented space, as opposed to real space. He pointed to evidence of this development in the works of an array of artists active in New York at the time, including H.C. Westermann, Lucas Samaras, John Chamberlain, Jasper Johns, Dan Flavin, George Earl Ortman and Lee Bontecou. The works that Judd had fabricated inhabited a space not then comfortably classifiable as either painting or sculpture and in fact he refused to call them sculpture, pointing out that they were not sculpted but made by small fabricators using industrial processes. That the categorical identity of such objects was itself in question, and that they avoided easy association with well-worn and over-familiar conventions, was a part of their value for Judd. He displayed two pieces in the seminal 1966 exhibit, "Primary Structures" at the Jewish Museum in New York where, during a panel discussion of the work, he challenged Mark di Suvero's assertion that real artists make their own art. He replied that methods should not matter as long as the results create art; a groundbreaking concept in the accepted creation process. In 1968, the Whitney Museum of American Art staged a retrospective of his work which included none of his early paintings. In 1968, Judd bought a five-story building in New York that allowed him to start placing his work in a more permanent manner than was possible in gallery or museum shows. This would later lead him to push for permanent installations for his work and that of others, as he believed that temporary exhibitions, being designed by curators for the public, placed the art itself in the background, ultimately degrading it due to incompetency or incomprehension. This would become a major preoccupation as the idea of permanent installation grew in importance and his distaste for the art world grew in equal proportion. In the early 1970s, Judd's art increased in scale and complexity. He started making room sized installations that made the spaces themselves his playground and the viewing of his art a visceral, physical experience. Throughout the 1970s and 1980s he produced radical work that eschewed the classical European ideals of representational sculpture. Judd believed that art should not represent anything, that it should unequivocally stand on its own and simply exist. His aesthetic followed his own strict rules against illusion and falsity, producing work that was clear, strong and definite. Supported by a grant from the National Endowment for the Arts, Northern Kentucky University commissioned Judd with a 9 feet (2.7 m) aluminium sculpture that was unveiled in the middle of the school's campus in 1976. Another commission, Untitled (1984), a three-part sculpture out of concrete with steel reinforcements, was installed at Laumeier Sculpture Park. Judd started using unpainted plywood in the early 1970s, a material the artist embraced for its durable structural qualities, which enabled him to expand the size of his works while avoiding the problem of bending or buckling. Plywood had been the staple of his art earlier, but never unpainted. He later began using Cor-ten steel in the 1980s for a small number of large-scale outdoor pieces, and by 1989 would create single and multi-part works with the material. The Cor-ten works are unique in that they are the only works the artist fabricated in Marfa, Texas. The artist began working with enamel on aluminum in 1984, when he commissioned Lehni AG in Switzerland to construct works by bending and riveting thin sheets of the material, a process Judd previously used to create furniture. These pieces were initially created for a temporary outdoor exhibition in Merian Park outside Basel. Judd would continue to produce pieces using these techniques through the early 1990s. Judd’s work with enamel on aluminum greatly expanded his palette of colors, which had previously been restricted to the colors of anodized metal and Plexiglas, and led to the use of more than two colors in an individual artwork. Combining a wide range of colors, he used the material to create five large-scale floor pieces and many horizontal wall works in unique variations of color and size. Judd’s only known work in granite, an untitled Sierra White granite floor piece from 1978, measures 49 x 98 x 98". The structure is composed of two vertical slabs that rest on the floor, to which the bottom component is conjoined, and the ceiling of the structure extends to the outer edges of the vertical walls. In 1990 Judd opened an atelier in an old liquor factory from 1920 at Mülheimer Hafen in Cologne, Germany. The configuration and the scale of art cannot be transposed into furniture and architecture. The intent of art is different from that of the latter, which must be functional. If a chair or a building is not functional, if it appears to be only art, it is ridiculous. The art of a chair is not its resemblance to art, but is partly its reasonableness, usefulness and scale as a chair...A work of art exists as itself; a chair exists as a chair itself. The first furniture was designed in 1973, after he moved from New York to Marfa. His designs included chairs, beds, shelves, desks and tables. Judd was initially prompted to design furniture by his own dissatisfaction with what was commercially available in Marfa. Early furniture was made by Judd of rough, lumberyard-cut pine but he continually refined the construction of the wooden pieces, employing craftspeople using a variety of techniques and materials around the world. Judd's activity in architecture and furniture design increased beginning around 1978, at which time he was involved professionally and romantically with Lauretta Vinciarelli, an Italian-born architect and artist. Vinciarelli lived and worked with Judd in Marfa and New York for roughly a decade and collaborated with him on projects for Providence and Cleveland and her influence can be seen on his architecture, furniture design, and even printmaking at that time. In fact, in a 1986 article published in Architectural Digest, William C. Agee stated that Judd and Vinciarelli were "starting a firm." In 1984, Judd commissioned Lehni AG, in Dübendorf, Switzerland to produce his furniture designs in sheet metal, in finishes of monochrome colored powdercoat based on the RAL colour standard, clear anodized aluminium, or solid copper. These designs are still produced by Lehni AG and sold through the Judd Foundation. In 1984, Judd drew upon his experience with this metal furniture by creating a series of colored artworks using the same techniques of powdercoating and bending. At the time of his death, he was working on designs for a fountain commissioned by the city of Winterthur in 1991, Switzerland, and a new glass facade for a railroad station in Basel, Switzerland. In the early seventies Judd started making annual trips to Baja California with his family. He was affected by the clean, empty desert and this strong attachment to the land would remain with him for the rest of his life. In 1971 he rented a house in Marfa, Texas as an antidote to the hectic New York art world. From this humble house he would later buy numerous buildings and the 60,000 acre (243 km²) Ayala de Chinati Ranch (not open to the public), almost all carefully restored to his exacting standards. 40,000 acres surrounding the three ranch headquarters were sold under a conservation easement, but Judd Foundation still maintains the buildings and the land immediately surrounding them. In 1979, with help from the Dia Art Foundation, Judd purchased a 340 acre (1.4 km²) tract of desert land near Marfa, which included the abandoned buildings of the former U.S. Army Fort D. A. Russell. The Chinati Foundation opened on the site in 1986 as a non-profit art foundation, dedicated to Judd and his contemporaries. The permanent collection consists of large-scale works by Judd, sculptor John Chamberlain, light-artist Dan Flavin and select others, including David Rabinowitch, Roni Horn, Ilya Kabakov, Richard Long, Carl Andre and Claes Oldenburg and Coosje Van Bruggen. Judd's work in Marfa includes 15 outdoor works in concrete and 100 aluminum pieces housed in two painstakingly renovated artillery sheds. Judd taught at several academic institutions in the United States: The Allen-Stevenson School (1960s), Brooklyn Institute of Arts and Sciences (1962–64); Dartmouth College, Hanover (1966); and Yale University, New Haven (1967). In 1976 he served as Baldwin Professor at Oberlin College in Ohio. Beginning in 1983, he lectured at universities across the United States, Europe and Asia on both art and its relationship to architecture. During his lifetime, Judd published a large body of theoretical writings, in which he rigorously promoted the cause of Minimalist Art; these essays were consolidated in two volumes published in 1975 and 1987. The Panoramas Gallery organized his first solo exhibition in 1957. The Whitney Museum of American Art, New York, organized the first retrospective of his work in 1968. In 1975 the National Gallery of Canada, Ottawa, organized a Judd exhibition and published a catalogue raisonné of Judd’s work. He participated in his first Venice Biennale in 1980, and in Documenta, Kassel, in 1982. In 1987, Judd was honored by a large exhibition at the Van Abbemuseum, Eindhoven; this show traveled to Düsseldorf, Paris, Barcelona, and Turin. The Whitney Museum organized a second, traveling retrospective of his work in 1988. Another major European survey was mounted by Tate Modern in 2004. Fellowship, John Simon Guggenheim Memorial Foundation, 1968. The Leo Castelli Gallery, New York, represented the artist from 1965 to 1985. Judd then worked with Paula Cooper Gallery, New York, where he had a number of solo shows, and PaceWildenstein, which represented him through the end of his life. Judd's work has been represented – through the Judd Foundation – by David Zwirner since 2010. Prices for Judd's works first peaked in 2002, when a group of six Plexiglas boxes sold for $4.2 million. The largest of Judd's stacks, comprising 10 galvanised iron elements with ten-inch (254 mm) intervals, Untitled, 1977 (77–41 BERNSTEIN) (1977), fetched $9.8 million at Christie's in 2007. Judd's ten-unit sculpture Untitled, 1968 (DSS 120) made of stainless steel and amber Plexiglas was sold for $4.9 million at Christie's New York in 2009. As of 2013, the artist's auction record is held by Untitled (DSS 42) (1963), a large-scale sculpture executed in galvanized iron, aluminum and wood, which sold for $14,165,000 at Christie's New York in 2013. Originally conceived in 1977, and created in 1996, the Judd Foundation was formed in order to preserve the work and installations of Judd in Marfa, Texas and at 101 Spring Street in New York. In 2006, the Judd Foundation decided to auction off about 36 of his sculptures in order to cover the costs of refurbishing the foundation's buildings. The foundation board requested one of its members, publisher Richard Schlagman, to get Christie's and Sotheby's to submit proposals for the sale of a group of works. Christie's offered a reported $21 million guarantee and agreed to display the consigned work for five weeks in New York on the 20th floor of the Simon & Schuster building. Concerns that the sale would have an adverse effect on the market proved unfounded and the exhibition itself won an AICA award for "Best Installation in an Alternative Space" for 2006. The $20 million in proceeds from the sale went into an endowment intended to enable the Foundation to fulfill its mission, by supporting the 16 permanent installations that are located at 101 Spring Street in New York City and Marfa, Texas. Marianne Stockebrand, the director of the Chinati Foundation at the time, resigned from her post on the Judd Foundation’s board partly in protest of the auction. In 2013, the Judd Foundation — led by the artist's children — completed a $23 million renovation of 101 Spring Street. Judd married dancer Julie Finch in 1964 (later divorced) and fathered two children, son Flavin Starbuck Judd and daughter Rainer Yingling Judd. He died in Manhattan of non-Hodgkin's lymphoma in 1994. He had homes in Manhattan, Marfa, Texas and Kussnacht am Rigi, Switzerland. ^ a b Tate Modern website "Tate Modern Past Exhibitions Donald Judd". Retrieved on February 19, 2009. ^ 1928-1994,, Judd, Donald,. Complete writings 1959-1975 : gallery reviews, book reviews, articles, letters to the editor, reports, statements, complaints. Judd Foundation. (Reprint ed.). New York, New York. ISBN 9781938922930. OCLC 935195027. ^ William L. Hamilton (March 23, 2006), The Proto-Loft, Reborn The New York Times. ^ Bui, Phong (April 2010). "Donald Judd and 101 Spring Street". The Brooklyn Rail. ^ a b Donald Judd, Untitled (76–32 Bernstein) (1976) Christie's New York, Post-War and Contemporary Art Evening Sale, May 8, 2012. ^ The Panza Collection Initiative. Solomon R. Guggenheim Museum New York City. ^ Donald Judd: Stacks, September 26 - December 7, 2013 Mnuchin Gallery, New York. ^ Amy Ehrnreiter (September 18, 2007), ‘Gray box’ maintains mystery The Northerner. ^ a b Donald Judd Archived November 25, 2010, at the Wayback Machine Laumeier Sculpture Park, St Louis. ^ Donald Judd: Plywood, February 27 – March 27, 2004 Paula Cooper Gallery, New York. ^ Roberta Smith (June 9, 2000), ART IN REVIEW; Donald Judd The New York Times. ^ The Pace Gallery Presents Donald Judd: Works in Granite, Cor-ten, Plywood, and Enamel on Aluminum, February 18 – March 26, 2011, Pace Gallery, New York. ^ "HEUTE". www.muelheimerhafen.com (in German). Retrieved February 12, 2017. ^ Siefert, Rebecca. “Lauretta Vinciarelli, Into the Light: Her Collaborations with Donald Judd.” Woman's Art Journal. Vol. 38, no. 1 (Spring-Summer 2017): 20-27. ^ Siefert, "Lauretta Vinciarelli, Into the Light: Her Collaborations With Donald Judd." ^ William C. Agee, "Artist's Dialogue: Donald Judd, The Language of Space," Architectural Digest (August 1986): 44. ^ "Archived copy". Archived from the original on January 3, 2014. Retrieved January 2, 2014. CS1 maint: Archived copy as title (link) "Judd Furniture: Metal Furniture" Accessed 02 Jan. 2014. ^ Green, Tyler, and Marianne Stockebrand, perf. "Donald Judd." The Modern Art Notes Podcast. Modern Art Notes Media, 16 May 2013. web. 2 Jan 2014. .
^ a b Roberta Smith, Donald Judd, Leading Minimalist Sculptor, Dies at 65 New York Times, February 13, 1994. Accessed January 31, 2011. ^ "Empire State Plaza Art Collection". Retrieved November 14, 2018. ^ Katya Kazakin (May 10, 2006), Donald Judd Minimalist Sculptures Fetch $24.5 Mln at Christie's Bloomberg. ^ Donald Judd, Untitled, 1977 (77–41 BERNSTEIN) (1977) Christie's New York, Post-War and Contemporary Art Evening Sale, May 16, 2007. ^ Donald Judd – Untitled, 1968 (DSS 120) Christie's New York, Post-War & Contemporary Evening Sale, November 10, 2009. Accessed January 31, 2011. ^ Donald Judd, Untitled (DSS 42) (1963) Christie's New York, Post-War & Contemporary Evening Sale, 12 November 2013, New York. Accessed November 13, 2013. ^ 'Print Building', Judd Foundation. ^ Souren Melikian (January 12, 2007), How Christie's kept top spot over Sotheby's in 2006 sales The New York Times. ^ Jacob Hale Russell, Look Who’s Selling --- Once-quiet artists’ foundations are becoming power players, The Wall Street Journal, July 29, 2006. ^ Randy Kennedy (April 4, 2013), Judd’s Studio: Public Invited The New York Times. Judd, Donald. (1986) "Complete Writings, 1975–1986" Eindhoven, NL: Van Abbemuseum. Haskell, Barbara. 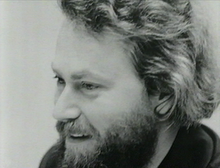 (1988) "Donald Judd." New York: Whitney Museum of American Art / W.W.Norton & Co.
Agee, William C. (1995) "Donald Judd: Sculpture/Catalogue" New York: Pace Wildenstein Gallery. Krauss, Rosalind E. & Robert Smithson. (1998) "Donald Judd: Early Fabricated Work." New York: Pace Wildenstein Gallery. Serota, Nicholas et al. (2004) "Donald Judd" London and New York: Tate Modern and D.A.P. Marianne Stockebrand (ed. ): Chinati: The Vision of Donald Judd. Yale University Press, New Haven (Connecticut) 2010. Stockebrand, Marianne, and Tamara H. Schenkenberg, Donald Judd: The Multicolored Works, Pulitzer Arts Foundation, St. Louis, 2013. Wikimedia Commons has media related to Donald Judd. Judd's biography at the Handbook of Texas Online. The Judd List of books, articles, ephemera.